Living in McKenzie Lake means access to great schools in SE Calgary. The following schools serve the McKenzie Lake area, and offer a great educational foundation for students. Situated within the community on McKenzie Lake Way, McKenzie Lake School was built in 1996 and features a large gymnasium, a learning commons, 23 classrooms, several meeting rooms, and a multi-use area called the Snow Gallery. It has two playgrounds and a large playing field on the south side for children to be active and have fun with friends. Located in McKenzie Lake on Mt. Douglas Close, this middle school also serves the Douglasdale and Douglasglen communities. A unique feature of this school are the ‘learning communities’ into which students are grouped to meet their educational needs. Mountain Park has 28 classrooms, a fantastic library, a band room, a foods lab, and a Career and Technology shop. The school also has a large main gym, an auxiliary gym, a dance studio, and a fitness studio. Students in grades 7–9 also have access to the cafeteria. Ideally located within McKenzie Lake on McKenzie Lake Blvd, Cardinal Newman serves kids within the Catholic district. This school features a Hockey Canada Skills Academy program for grade 7–9 students through which they can hone their hockey skills, leadership, and fitness during the school day. Students have up to two days of on-ice training a week, along with an off-ice training session. Cardinal Newman also boasts a Congregated Gift Program, where gifted junior high students can learn in a dynamic and collaborative environment with other gifted kids. It features a compacted curriculum and independent direction among students. Beaverbrook is one of Calgary’s well-known high schools, and boasts a stellar football program along with other great athletic programs. Located in Acadia (an 11 minute drive from McKenzie Lake), Lord Beaverbrook provides a solid educational core and offers many supplementary courses to help students discover possible career choices. 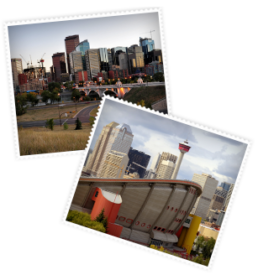 Calgary offers a handful of excellent private schools, available to students in all age groups. The Foundation For The Future Charter Academy, Calgary Christian School, and Foothills Academy are all popular choices. Just south of Calgary, the Strathcona-Tweedsmuir School is considered to be among the top 25 Canadian private schools.